Everyday brings new discoveries in my backyard. 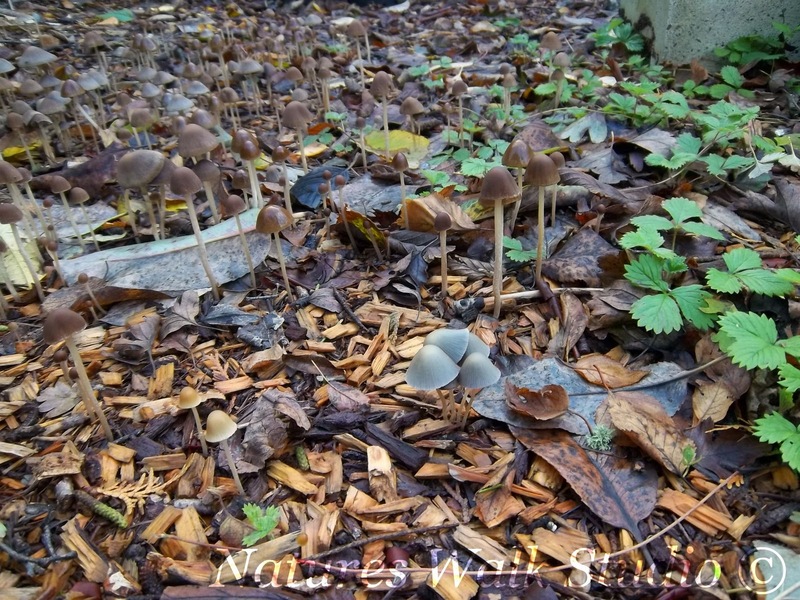 The fairy land appeared overnight after a heavy rain. 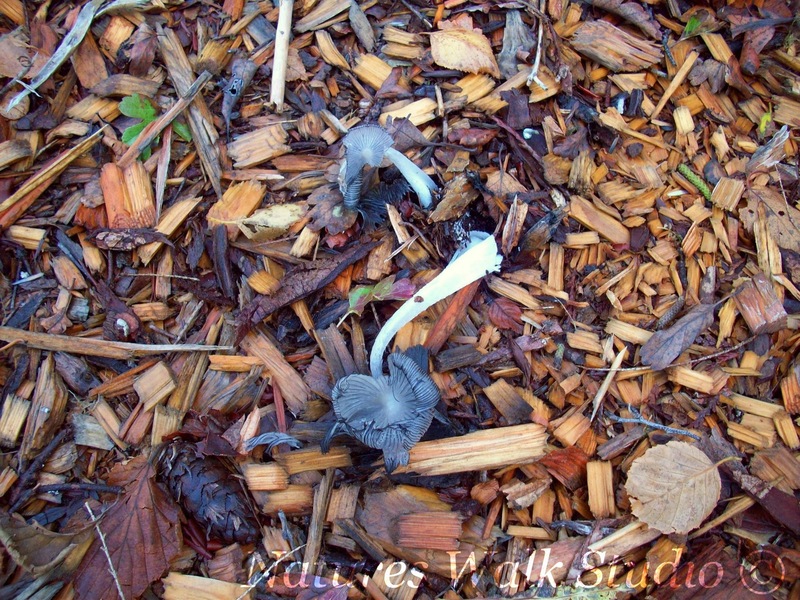 And imagine my delight at finding the fallen mushroom growing out of the wood chip mulch, showing the heart of the garden. I love your discovery and joy!!! Marvelous shots and the colors are so pleasing!! 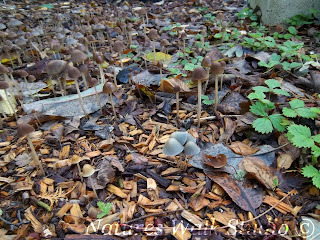 The tiny mushrooms with their domed caps look like pixie homes!! A lovely tribute to your woodland discovery. Beautiful accidental heart Helen, so many find their way into your path, you must be blessed! Happy Friday! It is amazing what universes are in our yards if we just open our eyes and hearts. Thanks for a glimpse into yours. I love random hearts found along the way much like the hearts in haiku land! Thanks for your kind words re - my daughter. beauty in the randomness. love your fairy land. Poor fairies in my world are about to get buried by snow in October, and lots of it ! I am glad you get the treats of Autumn. I love Nature's randomness - thanks for sharing! The heart of a garden is...fungi! What fun!